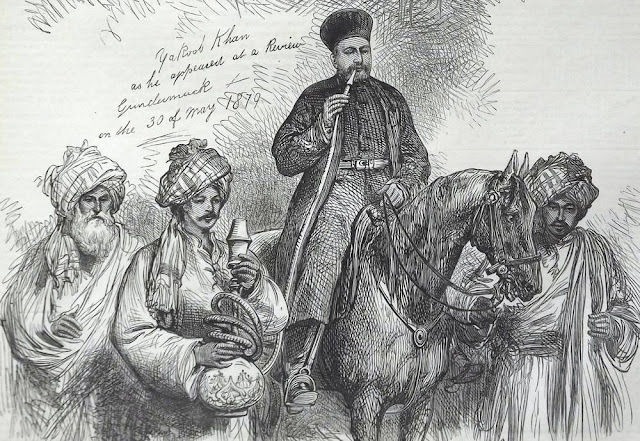 The Rohillas were a tough, tribal, Pashtun people originally from Afghanistan. They lived by breeding and trading horses. 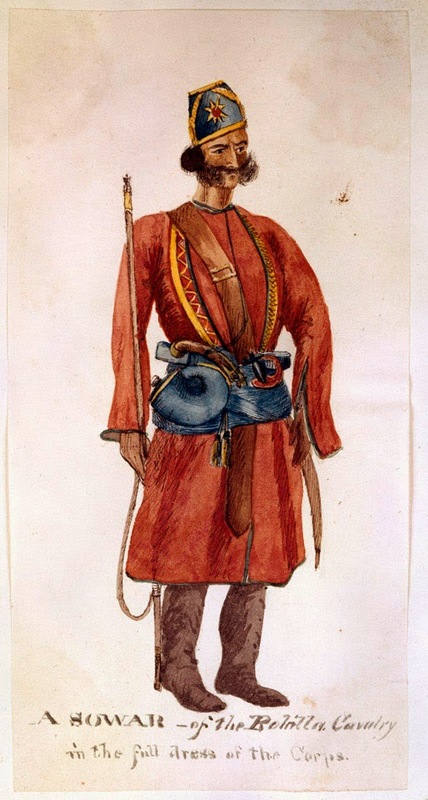 Well-suited to frontier fighting, they were recruited by the British into the Rohilla Cavalry and other irregular cavalry regiments which served in Bengal.The Rohilla horsemen wore a scarlet alkalak faced with gold lace. They also wore a fez type head dress or turban.